Almost two hundred years of careful attention to the needs of its valued customers has made LEA a success and one of Spain’s oldest family held business. 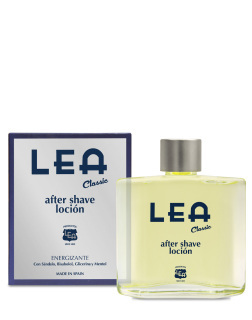 LEA CLASSIC products respond the demand of a traditional shaving, an old school ritual, a real classic shaving linked with the great experience of a sophisticated ritual of male beauty. With notes of sandalwood and moss, and formulated with glycerin, lanolin, allantoin, bisabolol and menthol, LEA CLASSIC products have soothing and conditioning properties that protect the most sensitive skin. 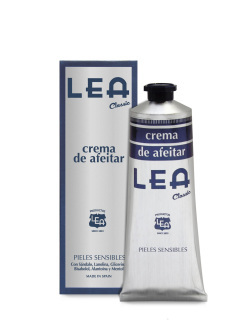 Lea's Classic Shaving Cream is formulated with lanolin, glycerin, allantoin, and menthol. When used with a shaving brush, this exclusive blend of ingredients produces a rich lather that softens the beard and protects even the most sensitive skin, for an exceptional traditional wet shave. The sandalwood and moss scent is rich and masculine. A warm and woodsy fragrance will fill your bathroom as you create a creamy and moisturising lather with the LEA Classic Shaving Soap Refill. Infused with the traditional manly scent of sandalwood made more complex by a green, mossy note, this soap fits precisely into the LEA wooden shaving bowl, permitting an unending cycle of high quality close and comfortable shaves. Enriched with lanolin, glycerin, bisabolol and allantoin, this formulation also includes refreshing menthol to tone and cool sensitive skin during and after the shave. 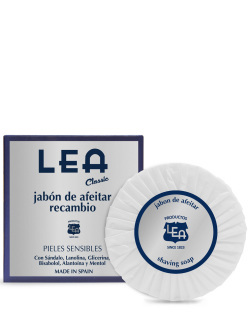 Lea's Classic Shaving Soap is formulated with lanolin, glycerin, allantoin, and menthol. When used with a shaving brush, this exclusive blend of ingredients produces a rich lather that softens the beard and protects even the most sensitive skin, for an exceptional traditional wet shave. 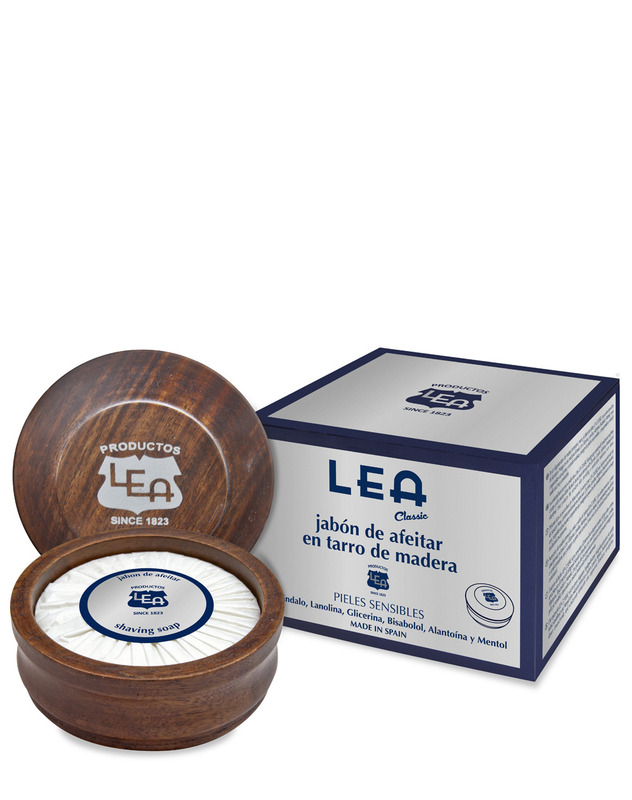 Packaged in a beautiful hand-turned wooden bowl, with a sandalwood and moss scent that is rich and masculine. Dermatologically Tested. Finish the perfect shave with LEA Classic After Shave Lotion, an intensely energizing masculine splash of mossy green and smooth and sensuous sandalwood. Fortified with calming bisabolol derived from the chamomile flower and the nourishing and moisturising power of glycerin, this shaving tonic also cools and tones with crisp and refreshing menthol. Use with confidence as this formula has been tested for safety and efficacy, leaving a man’s skin free of shaving irritation while smelling marvelous. Almost two hundred years of careful attention to the needs of its valued customers has made LEA a success and one of Spain’s oldest familty business.